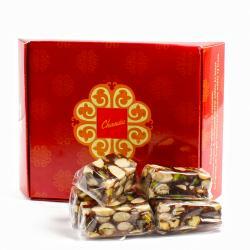 Product Consists : Chandu Halwai Dry Fruit Cake (Weight : 250 gms). 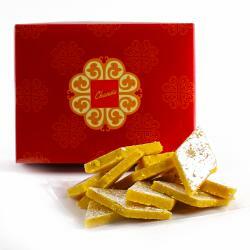 Sweets play a lovely role in bringing happiness and joy to our lives. 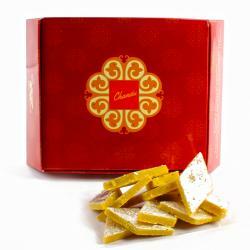 There are various kinds and varieties of sweets around the world having different tastes and wrapping designs. 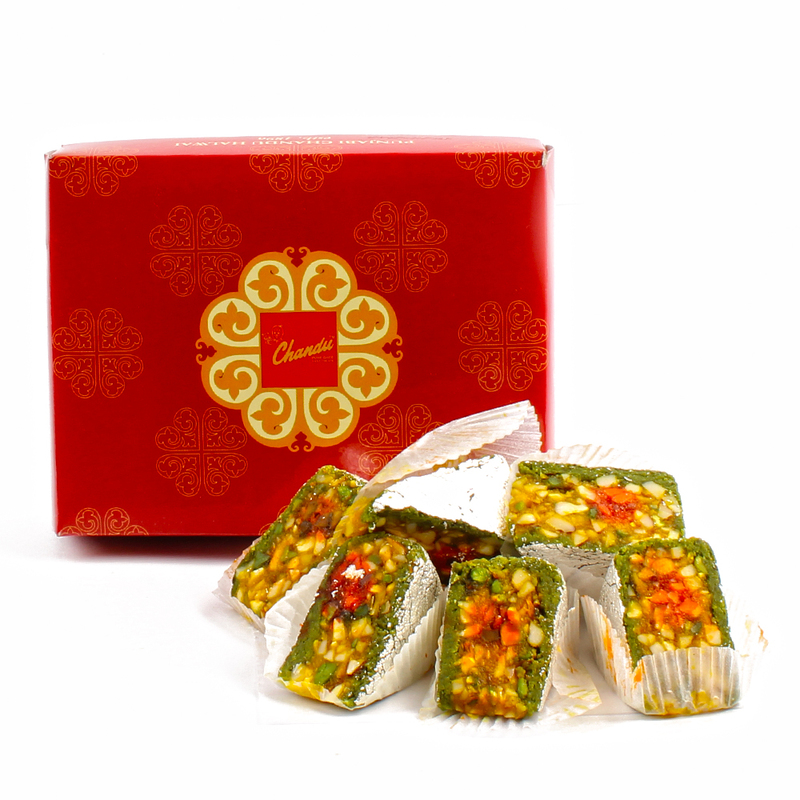 People love for candies and sweets is increasing on a daily basis, the reason for this is not only the passion the people have for it but the extra effort committed by the sweet shops in satisfying the customers want by providing different template designs, beautiful and lovely sweet wrappers, and most importantly been loyal to the customers. 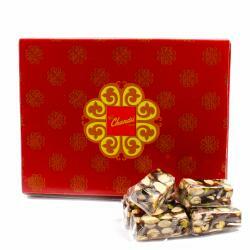 This dessert is perfect for all festivals and any other occasions too.Product Consists : Chandu Halwai Dry Fruit Cake (Weight : 250 gms).